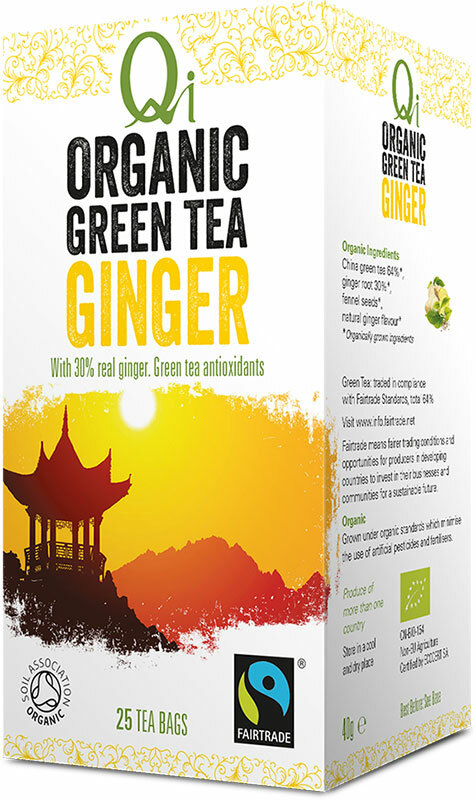 Qi Green Tea with ginger combines the antioxidants of high-altitude green tea with the warming and digestive benefits of real organic dried ginger. Ginger has been used in traditional medicine for thousands of years not only for its distinctive refreshing flavour but for its ability to aid digestion, reduce nausea, motion sickness, fatigue and even to ease the symptoms of colds and flu. Qi Green Tea with Ginger contains green tea with real organic dried ginger and is enhanced with a hint of fennel seed. 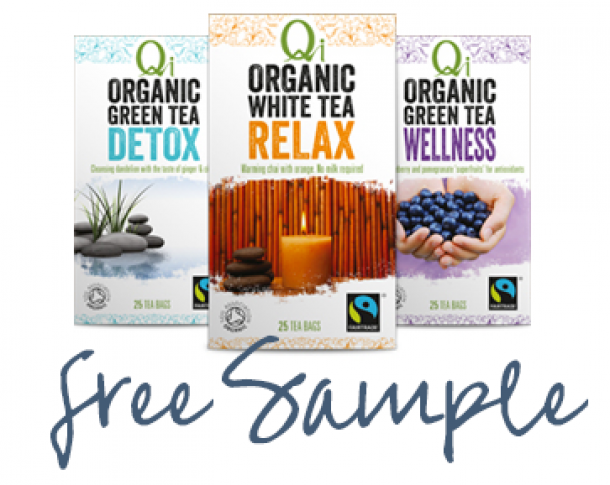 This blend has a cult following among Qi Tea drinkers. When people order it, they order an average of 7 boxes of this zesty blend.